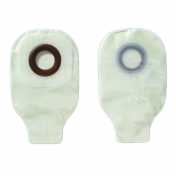 Hollister Karaya 5 One-Piece Drainable Pouch features a discreet profile made of superior ostomy pouch materials to be quiet with movement for comfortable and confident wearing. Confidence also comes from the Karaya skin barrier that's flexible and protective to guard against stomal discharge and provide an odor barrier film that's bacteriostatic. 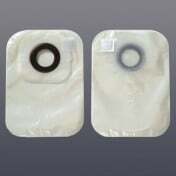 The 12-inch pouch is transparent allowing you to keep an eye on it. 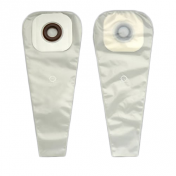 A unique feature that stand out from other ostomy pouch designs is it includes 20 carbon replacement filters. 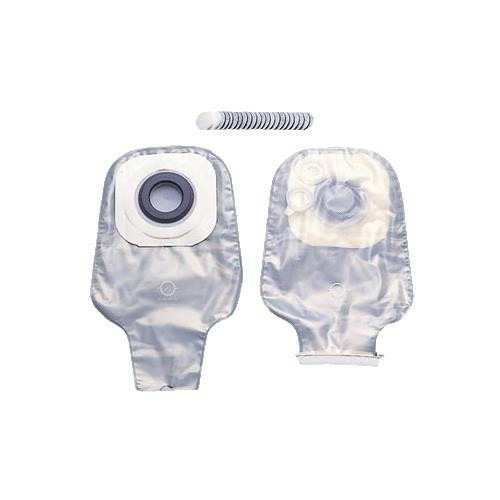 As needed, the carbon filter is replaced at the top of the pouch with the job of drawing in odor and venting gas to minimize gas build-up or pouching effects. Plastic belt tabs are built-in as an optional safeguard to keep the pouch in place. Its low profile also makes it bathing or swimming allowable. 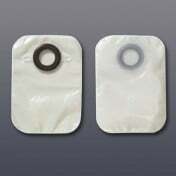 As a one-piece drainable pouch it's designed with a clamp closure to open from the bottom when ready to empty contents. The most popular pouch in this family is the Hollister 3663 Karaya 5 One-Piece 1-1/2 inch Drainable Pouch made with a 1-1/8 inch barrier opening. 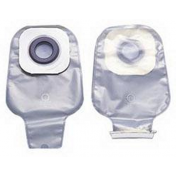 The next size is the 3668 with a 1-1/4 inch pouch size and 7/8 inch barrier opening. When needing a larger pouch the 3669 is 1-3/4 inches with a 1-3/8 inch barrier opening. All pouching systems come in a box of 10. Hollister also manufactures ostomy skin care products. Try the Universal Adhesive Remover Wipes using gentle solvents to remove barrier adhesives. The individual package makes it convenient when traveling.